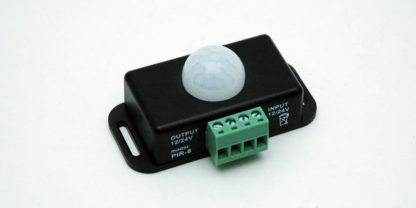 Human Body Induction switch (LN-SPIR-1CH) senses the approaching person and activates attached LED lighting fixture. 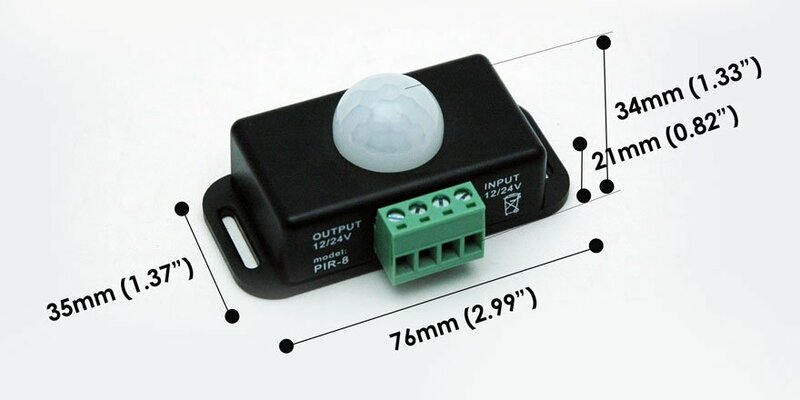 The human body is an infrared detection sensor switch controller, that use of infrared detection to turn on/off low voltage LED lighting (12/24VDC). 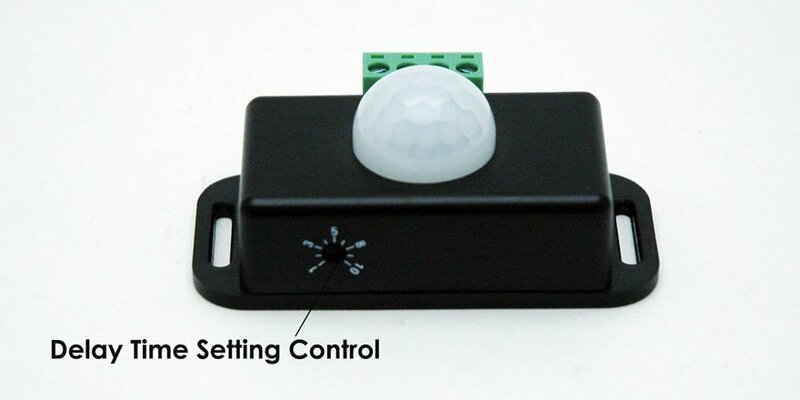 As a person approaches the sensor within 16 feet (5 meter) area, the sensor acts as a switch to turn on the attached optional LED lighting. 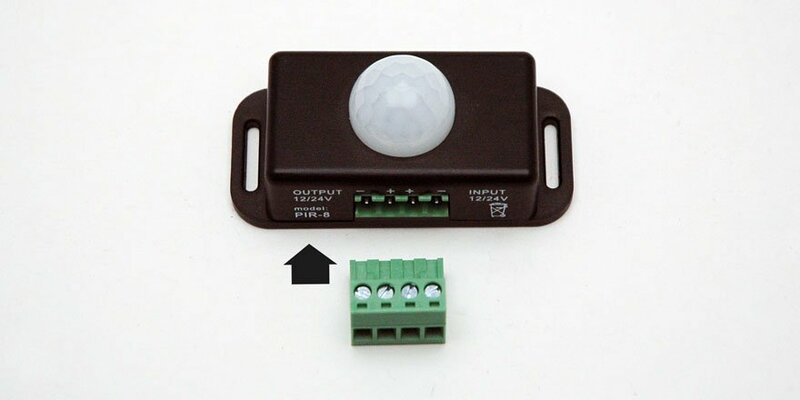 After a person leaves the sensor area, the human body induction switch will turn off automatically according to the set time delay. 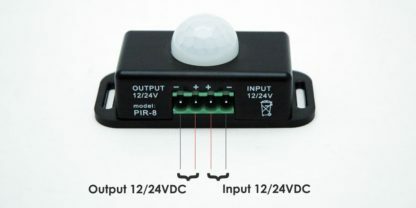 The controller signal output line and input line should be connected with the correct polarity and NOT exceed 5 amps.